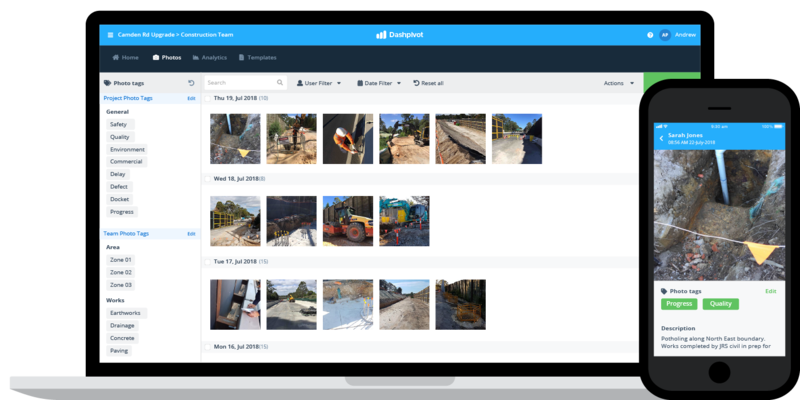 Dashpivot enables construction, mining and oil and gas companies to digitise and simplify how they capture, manage and track risk assessments on site and in the office - saving time and improving safety outcomes. One flexible risk assessment app which can easily handle all of your risk assessment needs, both on site and in the office. One standardised solution for all of your risk assessments templates and forms. Create your own custom risk assessment templates with simple drag-and-drop functionality, or select from our free library of proven risk assessment templates. 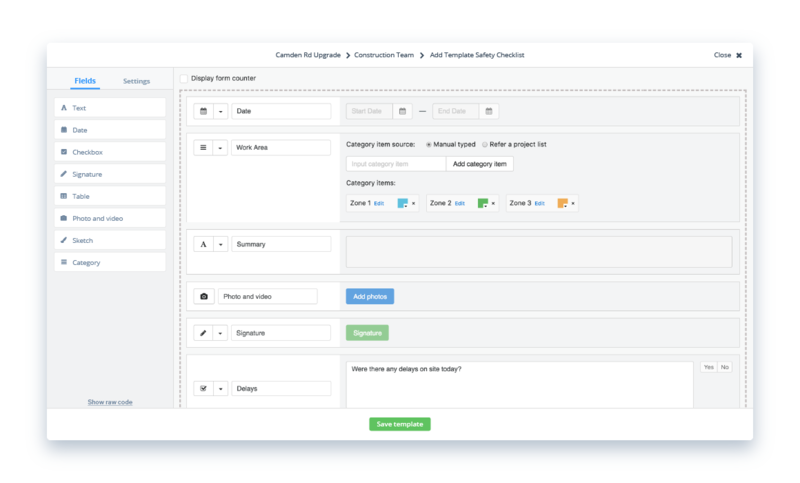 Deploy your smart templates to the field and make it easier for everyone filling them in on site with dropdowns and tables, photos and video upload buttons, checkboxes, sketches and digital signatures. Increase risk assessment completion by making it quick and easy for people to use the risk assessment app. Access and complete risk assessments on the risk assessment app, which is designed for all of your mobile and tablet devices. The iOS and Android apps were designed to make completing and signing off on forms fast, accurate and easy. And if they need to, everyone can access and edit the forms on laptop or computer as well. Get all of the information you need for your records - and more. Take photos and videos inside the Dashpivot app on mobile or tablet on site. 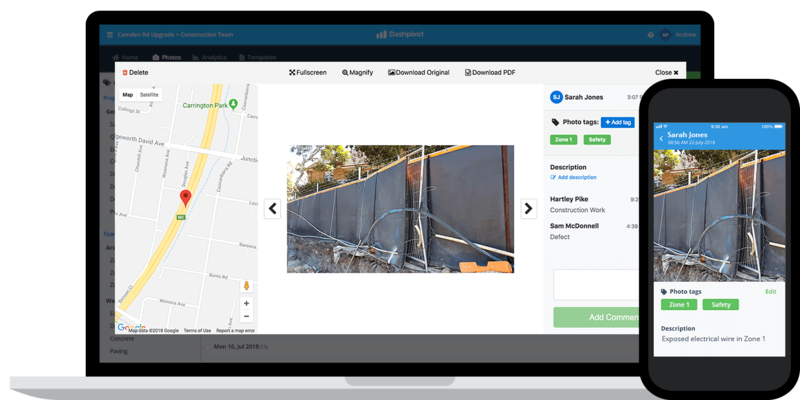 Photos come attached with GPS location and coordinates, comments, timestamps and tags for easy searchability - giving you bulletproof records. Get the full picture of risk assessments and hazards and keep forensic like records. All of your photos and videos captured inside of risk assessment forms and for general safety and progress are automatically stored into team and project libraries, organised by date, and easily filterable by person, tag and dates - making your records easy to manage and impossible to lose. Since the introduction of Dashpivot, the visibility and communication through photos and online forms has increased exponentially. The whole team has live updates of works being completed in real time and with exact locations. 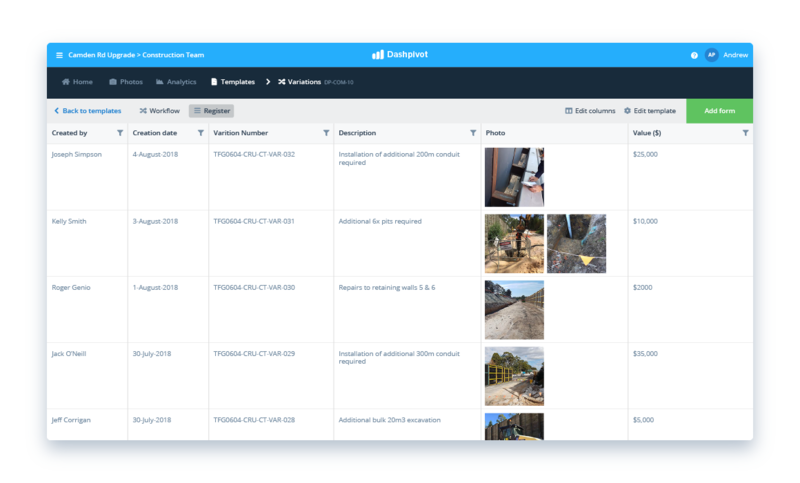 Once forms and photos are captured with the app, eliminate double-handling and manual data entry by automating the formatting and organisation of all of that important risk assessment data. 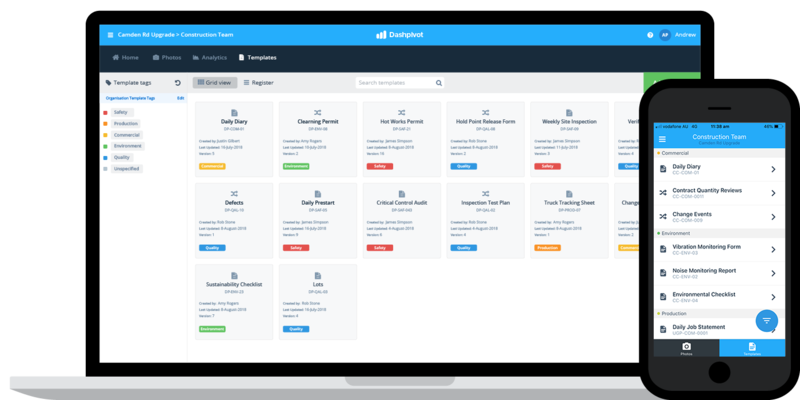 View and find your risk assessments in chronological order with supporting information and tight version control for safe record keeping. 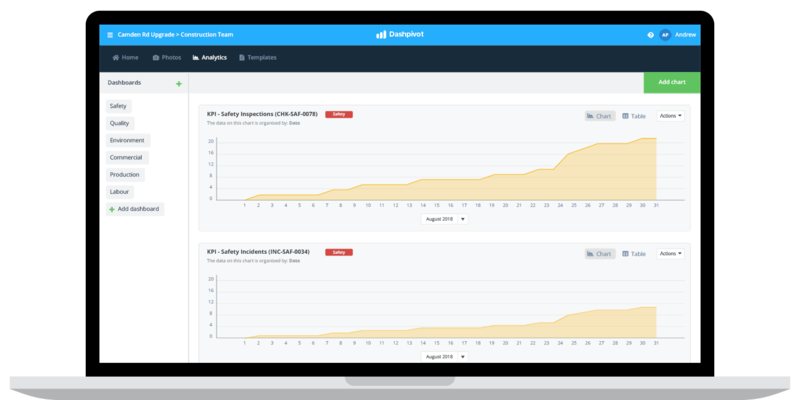 Instantly convert all of your risk assessment entries into register fotmat. 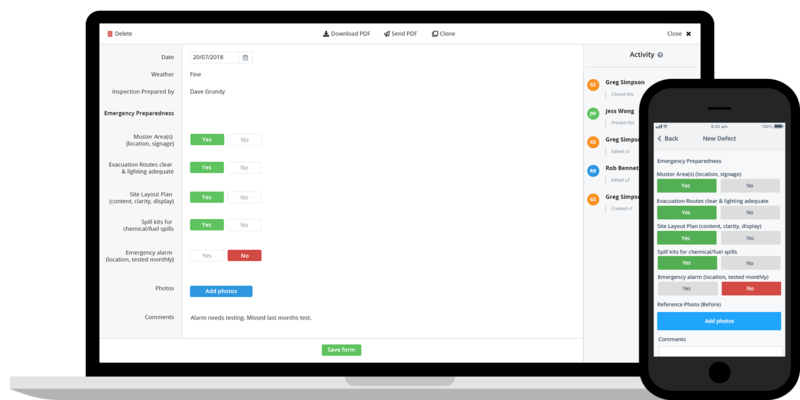 It's just like your trusted excel spreadsheet, but without the time-consuming data entry and formatting. Need to get a risk assessment record out of the app or software? 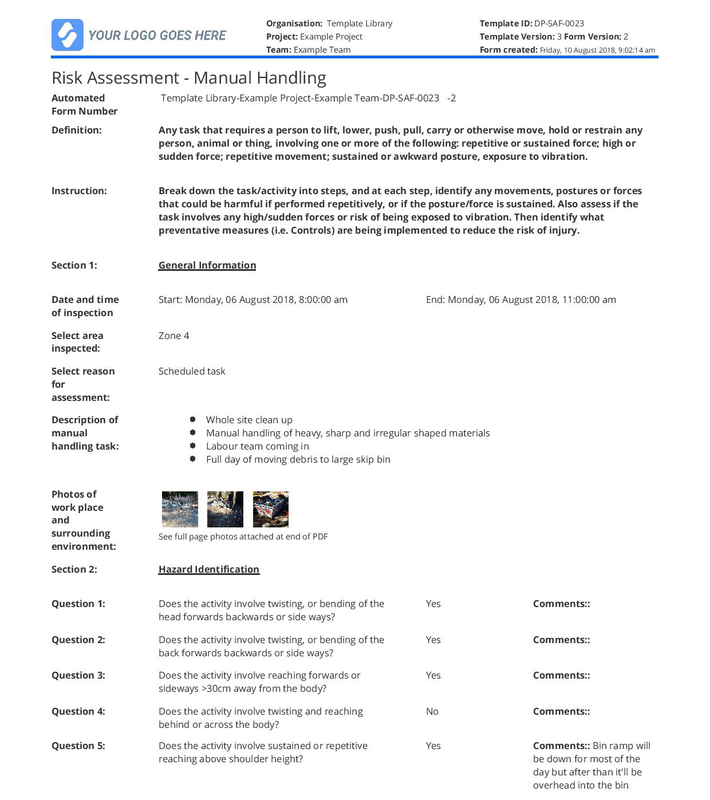 Just print, download or share any risk assessment entry as a perfectly formatted CSV or PDF document which looks professional with your logo and brand colours. Try this trusted risk assessment app for free. Real-time data and analytics about your risk assessments and safety peformance. 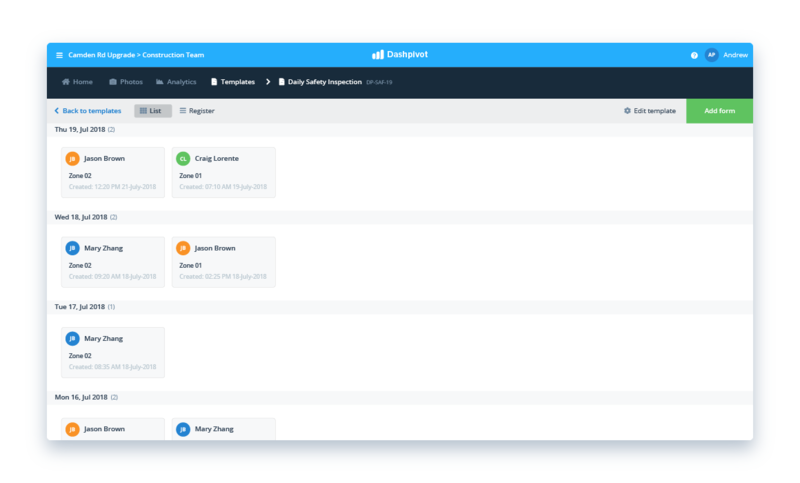 Dashpivot automatically aggregates all of the data from the digital forms your people are completing in the field so that you can display it in safety dashboards and custom charts. 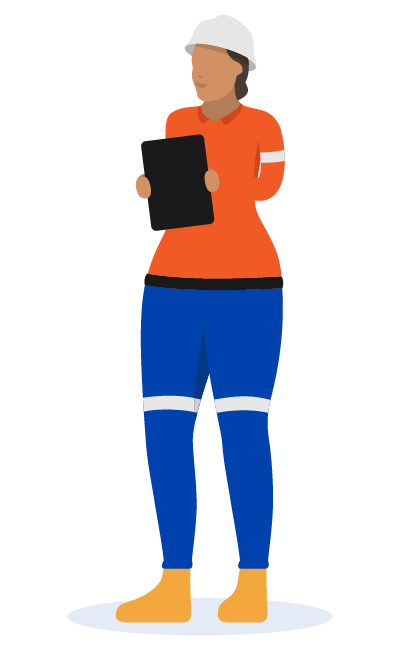 Understand what's happening with your risk assessments like how many risk assessments have been completed and by which person so that you can make informed decisions about how and what to improve. More than a risk assessment app. Dashpivot is more than 'just' a risk assessment app. You can also easily digitise and streamline other processes including checklist, reports and permits across safety and other functions. Focus on streamline your risk assessments, or use the app to make more of your processes more efficient. Use this risk assessment app to improve your risk assessments today.